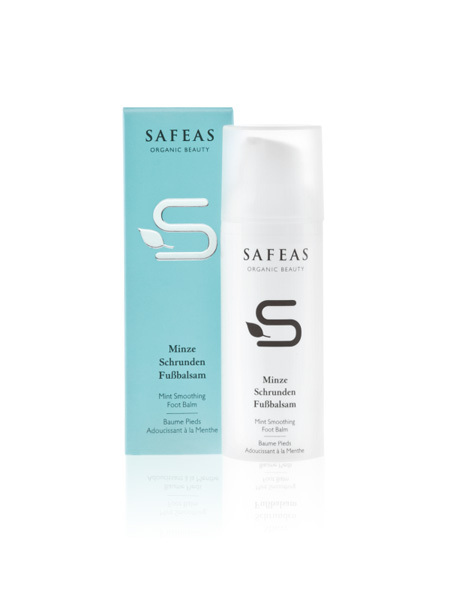 Safeas mint leg and foot care contains an active complex of refreshing mint, soothing lavender, stimulating rosemary, horse chestnut and tonic. 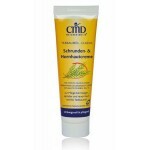 This gives your feet new lightness and freshness - for a feeling like new. activating oils of mint and lavender neutralize smell from excessive sweating and support circulation. 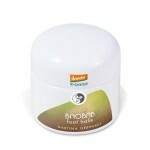 The skin is relaxed, supple and perfectly maintained. Cetearyl Alcohol, Hydrogenated Olive Oil, Butyrospermum Parkii Butter*, Cetearyl Glucoside, Aesculus Hippocastanum Seed Extract*, Triticum Vulgare Germ Extract*, Parfum, Sucrose Stearate, Glyceryl Caprylate, Glyceryl Stearate, Menthyl Lactate, Salvia Officinalis Leaf Extract*, Xanthan Gum, Salvia Triloba Leaf Extract, Helianthus Annuus Seed Oil, Linalool**, Geraniol**, Limonene**.